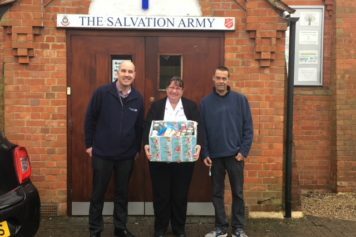 Staff from Wokingham Housing (WHL) today gifted much needed cold weather supplies for the homeless in Wokingham, care of the Sturges Road branch of the Salvation Army. The Christmas package included hot water flasks, wind up torches, socks and hats, as well as chocolates and mince pies. WHL is a Wokingham Borough Council owned housing development company set up with the objective of providing much needed housing for individuals on the housing register including the homeless. Last week WHL were able to provide two brand new homes in the Borough for individuals that would have otherwise been homeless at Christmas and spending Christmas in temporary accommodation. Bill Flood, Managing Director at WHL commented “Christmas is traditionally a time for giving and with our mission to provide housing to those that need it most, a charitable donation for the homeless was a natural choice. We are pleased to be able to provide practical things that the Salvation Army tell us will make homelessness and the isolation that Christmas can bring for homeless people slightly more bearable”. 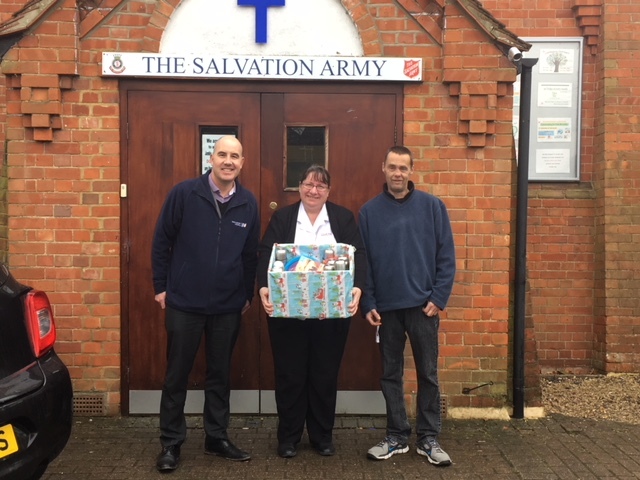 He added “The work that the local Salvation Army do for individuals in the Borough is fantastic and I am pleased we have been able to support them in our own little way”. Salvation Army minister Jan Howlin said of the donation “When WHL approached us about what we needed most, the torches and flasks sprang to mind, we are closed from the 22nd until the 27th December and these items will be a fantastic addition to the winter packs we will give individuals when they leave us on the 22nd. Items such as chocolates and mince pies are considered luxury items and without donations we would be unable to offer them”. The Salvation Army will be open on the following days over the festive period.